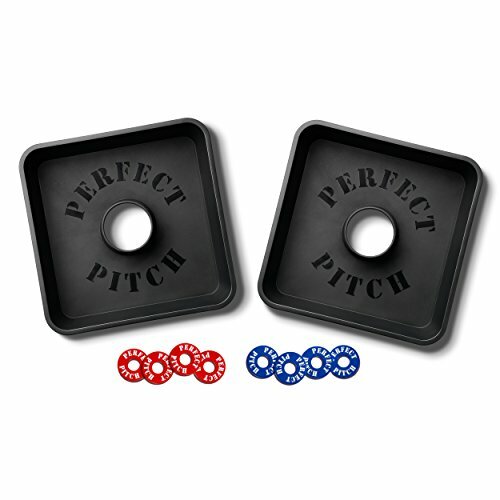 You will spend hours having fun with family and friends playing Perfect Pitch Washers. Constructed from high quality, durable, polypropylene, Perfect Pitch Washers doesn't nick, chip or splinter like the wood versions. This game is waterproof and weatherproof, so don't worry if you leave it out in the rain overnight. The versatile design also allows for them to be filled with sand or water for an alternative game play. The targets nest together for compact and convenient storage in the coordinating carry bag. Great for tailgating, barbeques, family reunions, graduations, vacations, out in the backyard or in your rec room.